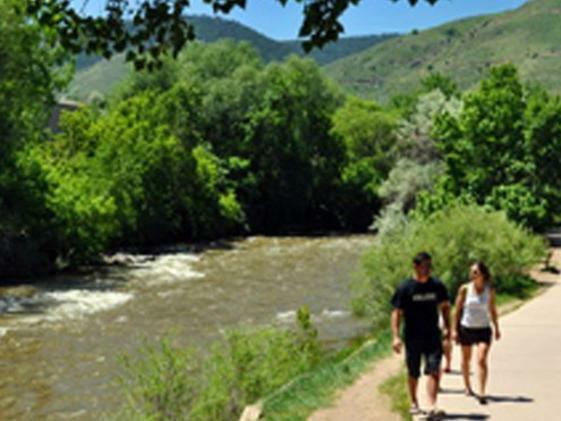 Golden’s most popular group of trails, the Clear Creek Trail connects nearby neighborhoods to schools, the Golden Community Center and the downtown area. 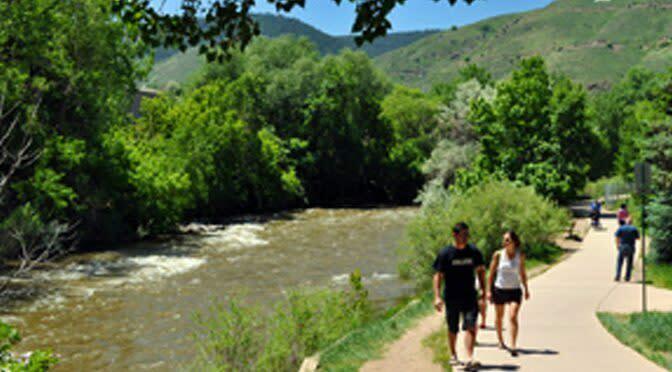 The trail travels to the eastern city limits where it continues to Wheat Ridge and eventually connects with other trails in the Denver Metro area. Access the Clear Creek Trail via Vanover Park at Water and Ford Streets, the Visitor Center at Washington and 10th Streets, the Library at 10th and Illinois Streets, Lions Park at 10th and Maple Streets and from 6th Avenue Trail.